CLX provides a wide array of financing options to its Clients. By working with different types of lending sources, at CLX we can assure our Clients that we will give them every option available to get them the financing they need. We leave no stone unturned when it comes to finding financing for our Clients. The primary lending sources we utilize include Traditional Banks, Private Equity Loans, Hard Money Loans, Government Programs, Insurance Companies, and a variety of Specialty Loan Programs. 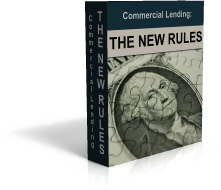 To learn more about each type of lender or about specific loan programs, please click on the lender type below to learn more.